The Vidaai ceremony takes place after the wedding rituals are completed. 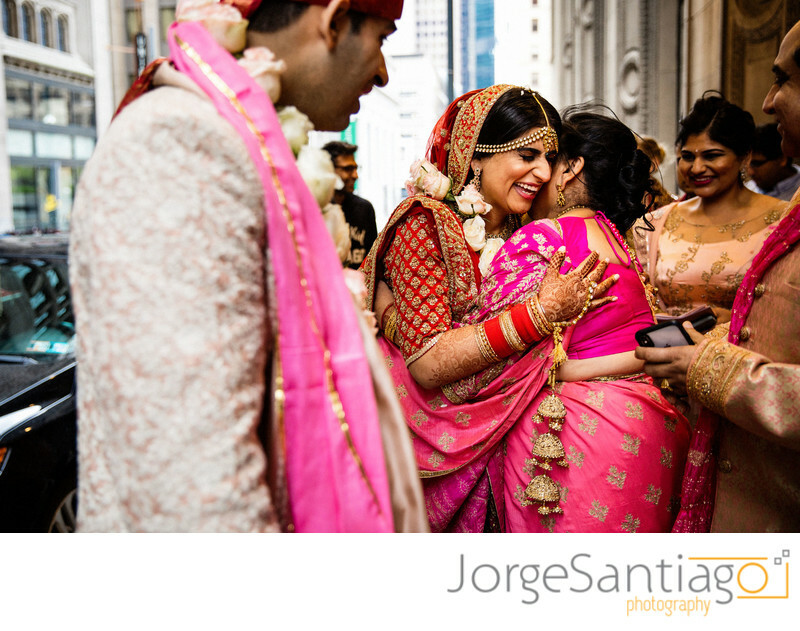 During the vidai ceremony the bride is accompanied by her parents and associates, which lead her outside the doorsteps of the venue. Before crossing the doorstep, she throws back three handfuls of rice and coins over her head, into the house. This symbolizes that the bride is repaying her parents for all that they have given her so far.